Douglas Bamford's Tax Appeal: What is the Comprehensive Acquired Income tax base? What is the Comprehensive Acquired Income tax base? My proposal for a Comprehensive Acquired Income tax-base takes elements of Comprehensive Income (or Accretion, or Schanz-Haig-Simons) taxation and also elements of Consumption taxation. The idea is to record the market value of the resources that people receive from their society, at the time at which the person receives them. This means that if someone receives some money, goods or services from another party (whether it be their employer, a return on an investment, or a gift from another person) at a particular time the assumption should be that this would count as gross income and be liable for tax. As it is designed be applied on a lifetime basis, my Comprehensive Acquired base removes the most controversial requirement of the Accretion approach. This is that everyone’s property should be valued every year in order to find out how much it has changed in value. This would be a very difficult, and no doubt controversial, annual undertaking, and few people propose applying this traditional ideal in the real world. Furthermore, people may not have the liquid assets to pay the tax liability on property they own which has increased in value. The Accretion approach therefore shares this controversial aspect with proposals to tax people on the total value of their property; the wealth tax. Removing the focus on the annual change in wealth as part of the tax calculation raises the question of when the tax is applied. The simple answer is that gains are taxed when they are realised. When someone receives money from their employer or sells something they own for a profit this would then count as part of their lifetime taxable income. This lifetime tally would therefore increase as time goes on, and lifetime averaging proposals such as mine allow the denominator by which to divide this lifetime total to increase as well. It is possible within this approach to allow the deferral of taxation on certain forms of gains, for example investment gains. The idea is that certain types of income could be ring-fenced such that any gains that remain within the ring-fence remain untaxed. It is only when people switch resources from these special categories to a form which can be used for consumption (such as a current account) then the lifetime gains on such ring-fenced investments can be accounted. Once the total gain exceeds the total invested then these profits can count as lifetime income. In many cases this profit will occur when the taxpayer dies and their property is valued/constructively realized prior to disbursal. Financial investments and company ownership are the obvious candidates for such treatment, but a primary residence is another potential category. I have described my proposal at various points as an ‘income’ tax base and as a hybrid with consumption taxation, which needs to be explained. If the state were only to tax financial income this might encourage employers and benefactors to provide resources in the form of services instead of financial income. In order to close this loophole, it is therefore necessary to insist that the market value of goods and services that have been paid for by others should also be included in someone’s lifetime tax calculation. Clearly the presentation provided above is a relatively simple one and there are more difficult issues and exceptions to take account of. For example, I would argue that certain forms of income should be excluded, such as small non-financial gifts. These gifts, as long as their cumulative value is small, are not resource-transfers but rather tokens of affection which need not be taxed. 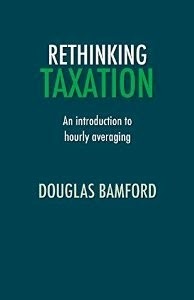 However, I will have to point readers towards Chapter 4 of Rethinking Taxation for a fuller discussion of my tax base and potential exceptions to the principle that the market value of all income should count as taxable.